As one of the most talked about regions of Vietnam, travel fanatics have flocked to Halong Bay for decades, particularly since it was designated a UNESCO World Heritage Site in 1994. But Halong Bay cruises don’t have to be touristy. Here are our tips for having more authentic local experiences in the Halong Bay region. With that in mind, here are some Halong Bay cruises and tips that help you have a more authentic experience surrounded by some of the world’s most gorgeous scenery. 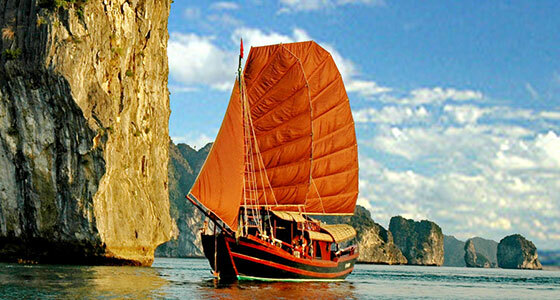 • Choose a Halong Bay cruise that offers activities with local guides and experts. For example, the 5* Starlight Cruise and the 4* Calypso Cruise run sunrise Tai Chi classes, bamboo rowing trips with local rowers and cookery classes with local cooks. • Add an extra experience onto your Halong Bay cruise, such as a private dinner on a beach on one of the islands, which is a possibility on the 5* Paradise Cruise. Alternatively, the 3* Oriental Sails cruise has the option to add on a private dinner on a sundeck or in a wine cellar. 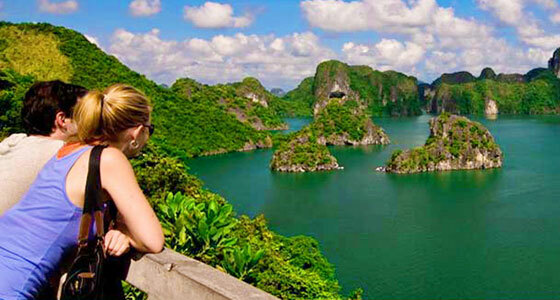 • Choose a Halong Bay cruise that takes in some of the less visited bays. For example, the 4* Gardenbay Cruise takes in Halong Bay and the particularly off-the-beaten-track Bai Tu Long. • Some of the Halong Bay cruises are in small boats with a large number of cabins. For a more peaceful cruise experience, choose one of the more spacious cruise boats in Halong Bay, such as the boat used for the 5* Azalea Cruise. 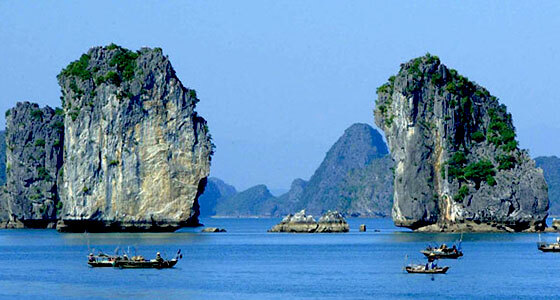 Halong Bay cruises are an essential part of a Vietnam itinerary for many travellers. With our tips, you can find your own slice of Halong Bay heaven, mixing together one of the world’s most loved locations with experiences led by locals. Find out more about Halong Bay cruises with Mr Linh’s Adventures.